Laser Treatment is a non-surgical SOLUTION and it is an amazing scientific approach to aiding in the treatment of Hair Loss, thinning hair, and scalp problems. Laser Treatment is medically proven to be safe and effective. This non-surgical treatment utilize a device containing therapeutic soft low light level lasers. Laser Treatment functions on the same scientific principle as that of photo biotherapy. This breakthrough technology has been featured all over the US and UK. Physicians are praising this new technology as an effective treatment of Hair Loss when used in conjunction with proper scalp and hair products, DHT Blockers and Minoxidil in carrier solution. Low-level laser therapy (LLLT) is a general term that describes any sort of phototherapy or laser treatment that does not break the skin. Also called low-power laser, soft laser, or therapeutic laser therapy, LLLT administered to the scalp has been shown to improve the health of existing hair and stimulate new hair growth. 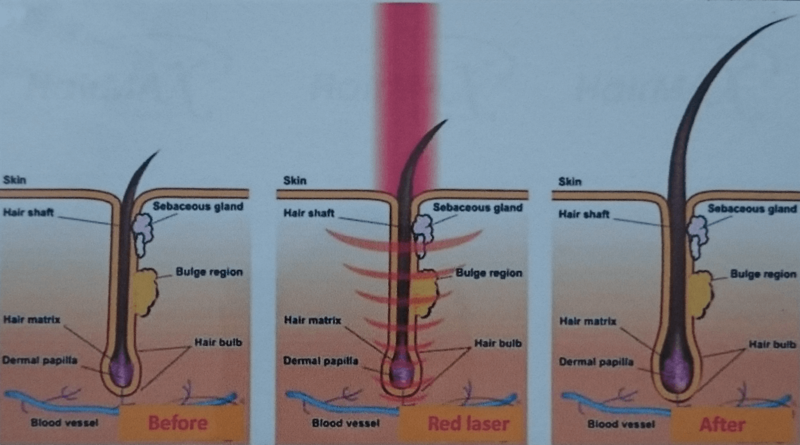 The principles behind laser hair loss treatment are the same as those behind many effective methods of pain reduction and wound and tissue healing. By stimulating the blood supply in the scalp with the appropriate wavelength of light, laser hair restoration therapy enhances cell activity and allows for more nutrients to reach the hair follicles, improving hair growth. Because of its additional skin repairing properties, LLLT may also be used to aid healing of the scalp after Hair Transplant. Laser light uses the scientific principle of photo biotherapy. This process occurs when cells absorb light and repair themselves. Laser light penetrates deep into the tissues of the scalp, stimulating circulation of blood supply, cell metabolism and protein synthesizes. Clinical studies suggest that this cellular and sub-cellular activity breaks down the collection of DHT and therefore helping to stop Hair Loss. To appreciate how it works, you need to understand the basics of how hair grows and replaces itself in its natural cycle. Every hair on one’s head usually grows for several years and then falls out. The root then rests for some weeks before starting to re-grow a new hair. This cycle continues throughout our lives. 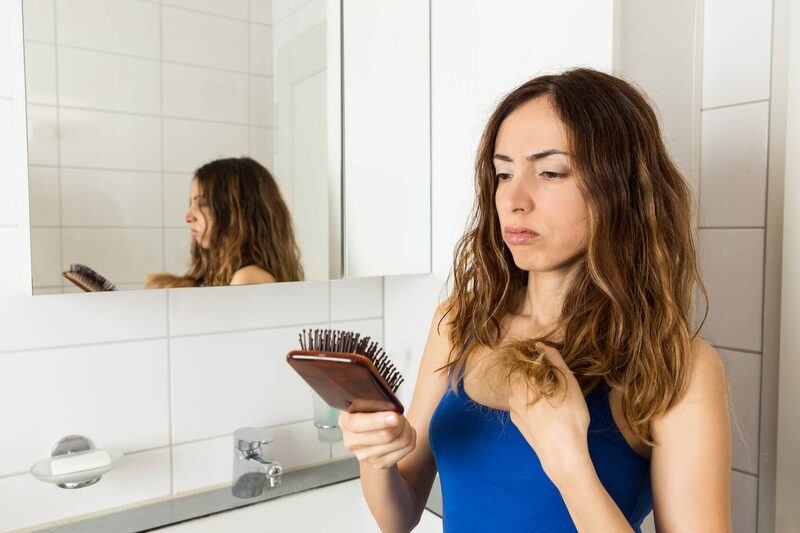 Unfortunately, as we age, some people replace fewer hairs than are shed (and/or thinner, lighter hair) resulting in thinner hair and gradually baldness occurs. You don’t go bald or thin out because your hair falls out, it’s meant to do so. You go bald or thin out if it doesn’t grow back! Laser used on a regular basis strengthens and regenerates the hair roots. This slows or arrests, and in some cases, reverses the degenerative cycle as previously described. Once the hair roots are dead, nothing can be done to restore them, so the sooner treatment is started, the better your results are. Therapeutic pure red light stimulates blood supply to the hair bulb and scalp, increasing the number of red blood cells that deliver vital oxygen and nutrients. The result is a restorative and reparative chain reaction that clears debris from the hair shafts, swells the cortex and closes the cuticle leading to a healthier scalp and hair that looks and feels softer, thicker and shinier, and is more easily managed. Used in conjunction with Total Hair Loss Solutions laser products and oral treatment, laser light therapy delivers even more benefits, because the laser light closes the cuticle. Our program will be determined by the extent of your Hair Loss. The program consists of 30 minute appointments once a week in the clinic which is booked in as normal by TOTAL HAIRLOSS SOLUTIONS. Laser Treatment in house is more beneficial than the Hand Held Laser Comb for the following reasons: The appointments within the salon will encourage the client to keep the treatments going. Often many clients will start using the Laser Comb but as time goes on they will become less and less disciplined as the results cannot be seen immediately. Coming in for the treatments will encourage the client to see through the necessary treatments right to the end. When using the Laser Comb you can only direct the laser light to the areas that you are holding the comb over. With the In House Laser Therapy, you sit under the hood for 30mins. The whole scalp benefits from an intensive 30mins. All products are inclusive in the In-House Laser Treatment Program and you can sit back and relax whilst the laser does the work for you. Our goal is to provide the best possible solution to meet and exceed our clients expectations every time. 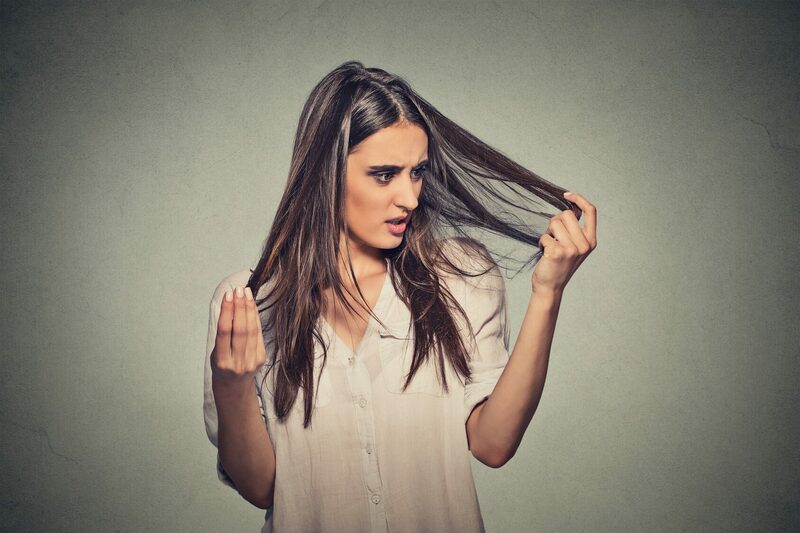 At Total Hair Loss Solutions, we understand that most people only feel as good as they look! And hair (or lack of it) matters greatly in this respect. Our tailor-made comprehensive programs are designed to make our client look their best all year long. You will not have to worry about your image any longer. At Total Hair Loss Solutions we are here to provide information, direction, guidance and privacy from caring compassionate well-trained consultants in a friendly and calming environment. Just relax and let the specialists at Total Hair Loss Solutions take care of you.